That would be Eco-Felt, from recycled Milk Bottles, not Wool Felt. What a process, 7 to 8 steps for “Composing” these little Gems. SO lacy and distressed. I will call this a Mixed-Media Soft Sculpture Bead, Scarf Slide Size and LG Bead Size. 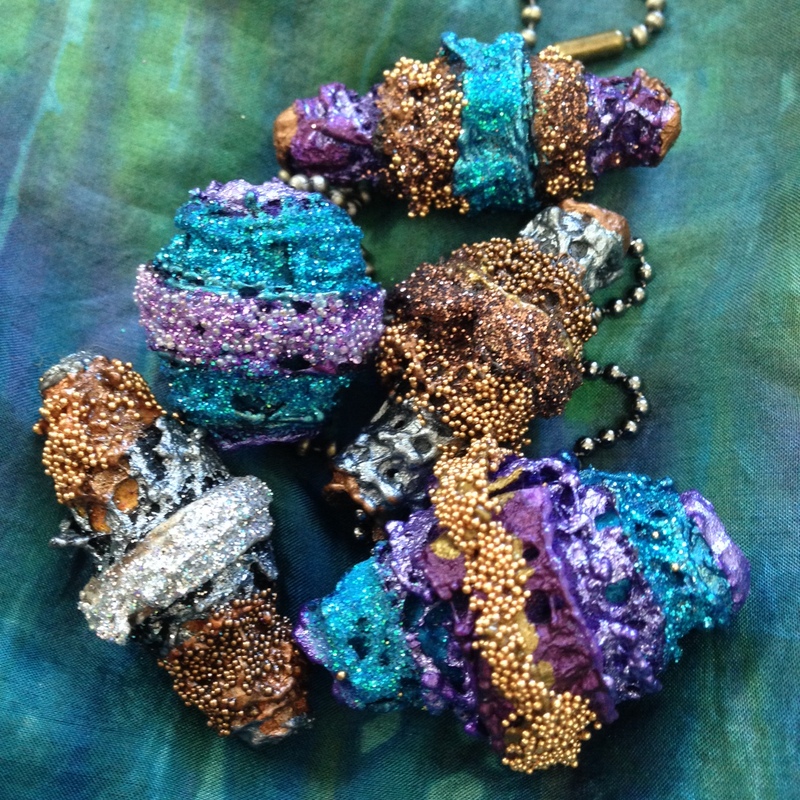 Heated Felt, Metallic Paint, tiny Pearls, GLITTER and a few other tricks make these Bewitching! Very complex in nature, but light as a Feather! Each one is Unique….. I want to KEEP them all….but have decided to share them with YOU. 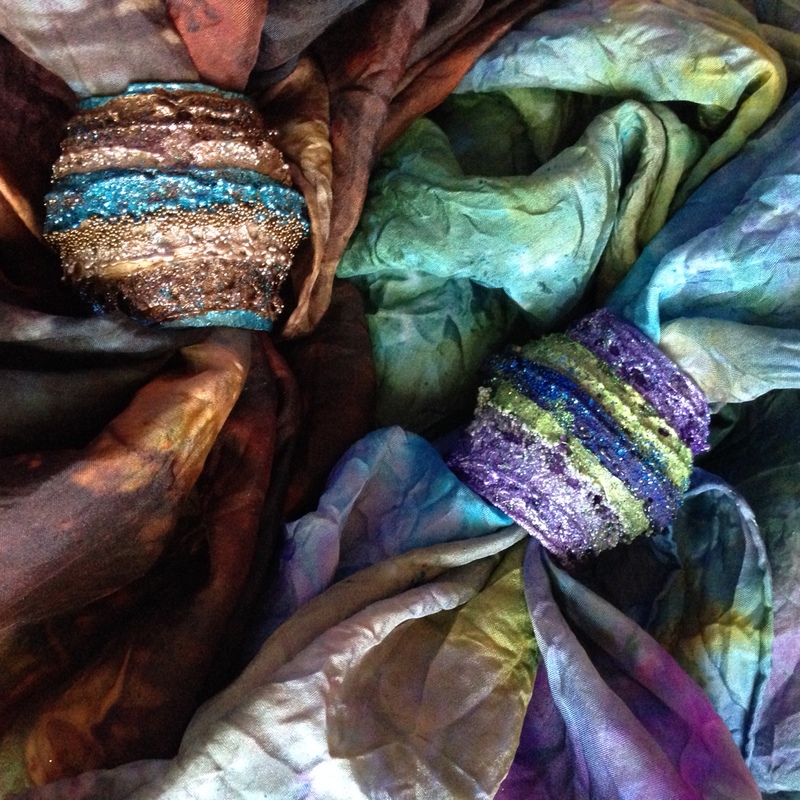 Will be featuring them at a Fiber Festival near you soon….Stay Tuned!